This is all well-deserved, in my mind. There was something about this man’s work that rang true, and shone clear, and lingered sweetly on the palate. He had a way of putting things succinctly and arrestingly; he often left you saying “but of course!” before you even knew what you were assenting to. His fiction, especially, was vivid and engaging and uniquely imaginative. I don’t begrudge him his place in the Evangelical heart for one minute. I’m just a little bit surprised by it, is all. I say this because when you read the breadth of his work, he often covers ground that most conservative North American Evangelicals would find a bit disorienting, to say the least. They certainly would have a generation ago, anyways, back when C. S. Lewis’ name was still in the process of becoming a household word. He toys with the idea of purgatory in The Great Divorce (toys, but never lands on it); he more or less comes out as a theistic evolutionist in The Problem of Pain; he wonders out loud about the very real possibility of salvation apart from Christ in The Last Battle; he more-or-less rejects the “perseverance of the saints” (i.e. the doctrine of once saved always saved) in The Screwtape Letters. To be clear, in pointing these things out, I am not trying to state my own view on any of these issues, which would take many blog posts each to cover. I’m only saying that none of these positions reflected the Evangelical party-line back in the late 50s and early 60s when C. S. Lewis was planting the flag of Narnia firmly in the territory of Evangelical affections. Which makes the authority he holds today a bit surprising. In the aforementioned sermons that quote Lewis, often just referring to him is enough to settle the homiletical issue in question. You don’t even have to give the quote, you can just say something like, “And like C. S. Lewis says, after all, God is not a tame lion...” and that usually says it all. One of the more prominent examples of this—conservative Evangelicalism’s embrace C. S. Lewis despite his apparently heterodox position on many conservative Evangelical sacred cows—is seen in the sacrifice of Aslan in The Lion, the Witch and the Wardrobe. In case you’ve not read the book, or forget, here’s the nutshell: the boy Edmund, a first-class stinker all round, betrays his brother and sisters to the White Witch, because he’s eaten some of her enchanted food and wants more. Aslan rescues Edmund from the Witch’s clutches, but the Witch demands that Aslan surrender Edmund back up to her, as her rightful property. Interestingly, Aslan acknowledges the Witch’s claim on the boy, but rather than losing Edmund, he gives himself in Edmund’s place. The Witch kills Aslan, thinking she’s won, only to have Aslan come to life again the next morning, resurrected and victorious. "You have a traitor there, Aslan," said the Witch. Of course everyone present knew that she meant Edmund. But Edmund had got past thinking about himself after all he'd been through and after the talk he'd had that morning. He just went on looking at Aslan. It didn't seem to matter what the Witch said. "Tell you?" said the Witch, her voice growing suddenly shriller. "Tell you what is written on that very Table of Stone which stands beside us? Tell you what is written in letters deep as a spear is long on the firestones on the Secret Hill? Tell you what is engraved on the sceptre of the Emperor-beyond-the-Sea? 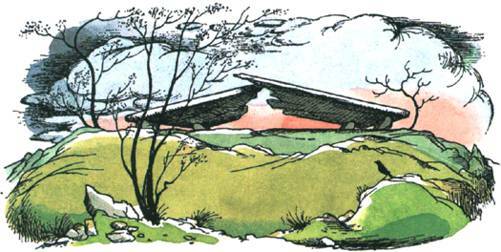 You at least know the Magic which the Emperor put into Narnia at the very beginning. You know that every traitor belongs to me as my lawful prey and that for every treachery I have a right to a kill." "Oh," said Mr Beaver. "So that's how you came to imagine yourself a queen - because you were the Emperor's hangman. I see." “Peace, Beaver," said Aslan, with a very low growl. "Oh, Aslan!" whispered Susan in the Lion's ear, "can't we - I mean, you won't, will you? Can't we do something about the Deep Magic? Isn't there something you can work against it?" "Work against the Emperor's Magic?" said Aslan, turning to her with something like a frown on his face. And nobody ever made that suggestion to him again. Maybe you can see where Lewis was going with this? He always denied that he was writing allegory per se, but he was a Medievalist, and probably meant that in the technical sense of the word “allegory.” It’s not near so linear as Pilgrim’s Progress, to be sure, nor so blunt as Everyman, nor so cumbersome as Romance of the Rose; granted. But in a looser sense of the term, this has allegorical signification oozing out the pores. To say the Witch is the Devil, Aslan is Christ, and Edmund is sinful humanity does no violence to the narrative. If that’s the case, it bears noting that the operative theory of the atonement here—which seems to be a Narrative Christus Victor—is actually quite different from the standard Evangelical presentation of the Gospel, which has tended to emphasize Penal Substitution almost exclusively. A bit of glossary may help here: a “theory of the atonement” is a way of explaining how Christ’s death on the cross was a saving event—how the cross saves. The Christus Victor theory of the atonement (Latin for “Christ the Victor”) focuses especially on the idea that Christ won an unexpected and decisive victory over Sin, Death and the Devil when he died on the cross, paying our ransom and freeing us from their power. The Penal Substitution theory of the atonement focuses on the idea that Christ stood in as our substitute, taking the punishment for our sins in our place on the cross. Historically, Evangelicals have emphasized Penal Substitution, almost to the exclusion of all other theories of the atonement, in their traditional explanations of the cross. If you’re only a Narnia fan and not a theology fan, you may be wondering what’s the big deal? So let me point out that in Penal Substitution (at least in most traditional expressions of it), the debt of sin is owed by sinful humanity to God himself, and the punishment (again, in most traditional expressions of it) is God’s own just judgement on sin. In Christus Victor, however, the cross is not about paying a debt, but paying a “ransom.” Ransom, of course, is paid to a captor to free a captive, and in most Christus Victor theories of the atonement (at least among the Church Fathers, whom Lewis read and knew), the ransom was paid not so much to God himself as to the enemy of our souls, the very real White Witch: the satan. The cross is an unexpected victory over Satan, because Satan believed he won in killing Christ only to be defeated the third day when Christ rose again. If Christ did indeed pay a debt he did not owe to pay a debt I could not pay, the question here is, to whom did he pay the debt? To God, or to the devil? Penal Substitution has a clear and unambiguous answer to this question: the Cross is God’s gracious means of satisfying God’s own righteous wrath towards sin. Christus Victor is less clear: the Cross is God’s gracious plan to pay our ransom and defeat our captor, freeing us from his power. Personally, my predominant atonement motif focuses on the recapitulation, a theme that comes from ancient theologians like Irenaeus and is comfortable with both Penal Substitution and Christus Victor working side by side. But that's another post for another day. 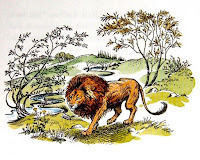 For today, let me just offer two humble "so what's" to this close reading of the operative atonement theology in the allegorical world of Narnia. First: you can't think too seriously for too long about what happened that day on the Stone Table in Narnia, before all sorts of difficult questions bob to the surface: to whom was my debt owed, really? Did the satan really have any legitimate claim over anything in the Creator's world? And if so, how and why? There are no easy answers to any of these questions, but they make for some good wrestling. Growing Christians would do well, I think, to take a round on the mat with them once in a while, if for no other reason than for the exercise. But second: it's more than just exercise. How we explain the cross, as Christians, is intricately related to how we understand God—who he is, how he loves, how he is sovereign over the world, what his heart is for humanity and what his plan is for the creation. Whether you land with Lewis on this one or not, having an operative theory (or operative theories) of the atonement and being able to articulate it (them) well, is crucial if we want the message of the cross to permeate every aspect of our lives. If we are determined, like the Apostle Paul once put it, to know only Christ, and him crucified, this is not optional theology. In Genesis 21:1-21 we find the heat-breaking story of Abraham's concubine Hagar and Ishmael her son, sent into the desert of Beersheba because of Sarah's jealousy. I'm fully prepared to accept the risk that I'm reading way too much into this here, but it strikes me as curious that in Genesis 21:16, when Hagar in her desperation abandons Ishmael under a shrub to die, it says that she "sat down opposite from him, about a bowshot away." And then in 21:20, after God's saved them both, it says (and it's this really random, throw-away line), it says, Ishmael grew up and became an archer. The connection between these two verses is even clearer in Hebrew, because the word for "bow," qesheth appears in both. When he was just a child, his mother abandoned him and then sat down a "bow-shot" away to weep; when he grew up, he became a "bow-shooter" for a living. I'm not sure what that means, if anything, but I love mulling over these weird details in the Bible. Maybe it means nothing. Or maybe it means that the Bible gets it, how the emotional traumas we experience as children actually do leave their mark on us, and in strange, subtle ways they set a course for our lives as adults. If I was given to flights of exegetical fancy I'd say something like this: As a lad, Ishmael almost died in the desert with his traumatized mom only a bow-shot out of reach, and he'd spend the rest of his life shooting a bow, haunted by the memory of that event and trying desperately to close the distance that once separated him from her. If nothing else, it gets me wondering, what events from my childhood might actually still be playing out for me in the decisions I make and paths I choose to walk. There’s this interesting phenomenon in physics, where sound vibrations in one object can cause a nearby object to produce sound, if the original sound is produced at just the right frequency, or pitch. All material objects have what is called a “resonant frequency,” which is the natural frequency at which it vibrates, and a sound wave oscillating perfectly at the object’s “resonant frequency” will cause it to start vibrating spontaneously. If, for instance, you were to hold down the G note on a piano, so that the string it is free to vibrate, and then you plunk the G note an octave below it, the vibration of the lower note will cause the higher string naturally to sound, even though you didn’t strike it, simply because the lower note is vibrating at the higher string’s resonant frequency. A note that is sounded at the resonant frequency of a crystal goblet, if it is loud enough, will cause the goblet to vibrate so much that it shatters. Sanctification refers to the process whereby Christians become holy; it is about acquiring and living in holiness, and the Bible’s quite clear that this is essential to the Christian life. In one place it says it as bluntly as can be: that without holiness no one can see God. The challenge here is that often, the language of holiness conjures up for us images of sombre people who have a long list of things they do or don’t do, and who feel they need to impose this list on everyone else. But this is not the way the Bible conceives of holiness. The Bible continually describes it as something that God does in us and through us, as he claims us for himself and works his holiness out in us; in one place it says, “May the God of peace himself sanctify you wholly ... the one who calls you is faithful, and he will do it.” Jesus himself prayed that God would sanctify us in truth, because his word is truth. In this sense, Holiness is an objective characteristic, or quality that God imparts to those who belong to Jesus, not a subjective quality that we obtain through moral effort. We are, in one sense, passive recipients of our holiness. And yet at the same time, holiness is, in fact about a way of life—it is about men and women actively thinking and speaking and living in a way that reflects God’s own holiness. In one place the Bible says we are to present ourselves as living sacrifices, holy and acceptable to God; in another place, that we are to work out our salvation with fear and trembling. These two pictures of holiness—that it is something we passively receive, but also something we actively pursue and work out—can be brought together perhaps, if we think about it with the analogy of sympathetic vibration. Because in sympathetic vibration, the sounding note is at just such a frequency that it causes the adjacent object to vibrate spontaneously; and at the same time, there is something about the nature of the object that it will vibrate, if it meets a sound wave at the perfect pitch. Our holiness is a matter of our sympathetic vibration, so to speak, with God’s own holiness. The sounding note, you might say, is the Holy Spirit, and because this note is indeed a perfect pitch—perfectly conveying, as it does, God’s perfect holiness—when it comes into contact with our hearts, passive though we may be, it causes our lives to begin vibrating in sympathetic harmony with Him—that is to say, our thoughts take on the character and quality of his thoughts; our words and deeds are prompted by and reflective of his words and his deeds. In this way, we are altogether passive in our sanctification, and yet deeply, deeply active, as we live in harmony with his holiness. Or like the Bible says it: we will be holy, because He himself is holy. Overview: This paper traces the Temple-replacement motif in the Gospel of John, throughout the Book of Signs (1-12) and especially in the Passion Narrative, arguing that through an intricate use of symbol, allusions and temple-references woven throughout his gospel, John depicts the crucified Jesus as the new, and true Temple of the Lord. Thesis: John portrays Jesus in his death as the cross-enthroned Messiah who is the true dwelling place of God’s glory, replacing the Temple with its institutions, priesthood and cult as the locus of worship for the people of God. It was quite unlike any other party they had seen that day. The crier who went before it shouting "Way, way!" was the only Calormene in it. And there was no litter; everyone was on foot. There were about half a dozen men and Shasta had never seen anyone like them before. For one thing, they were all as fair-skinned as himself, and most of them had fair hair. And they were not dressed like men of Calormen. Most of them had legs bare to the knee. Their tunics were of fine, bright, hardy colours -woodland green, or gay yellow, or fresh blue. Instead of turbans they wore steel or silver caps, some of them set with jewels, and one with little wings on each side of it. A few were bare-headed. The swords at their sides were long and straight, not curved like Calormene scimitars. And instead of being grave and mysterious like most Calormenes, they walked with a swing and let their arms and shoulders free, and chatted and laughed. One was whistling. You could see that they were ready to be friends with anyone who was friendly and didn't give a fig for anyone who wasn't. Shasta thought he had never seen anything so lovely in his life. There’s a wonderful scene in The Magician’s Nephew, the first book in the Chronicles of Narnia where Uncle Andrew, the amateur and rather iniquitous magician whose petty dabblings in magic open the first door to Narnia, meets Aslan, the Lord of Narnia, the central hero of the books, and the Mighty Lion who so often serves as a literary vehicle for C. S. Lewis’ musings about the nature, character and life of God. “The trouble,” Lewis wisely and somewhat playfully writes, “with making yourself stupider than you really are, is that you very often succeed.” Soon, Andrew’s willful unbelief has flowered into full-blown obtuseness, and he is unable to hear the Lion’s song, or, indeed, any of the speech of any of the talking animals in Narnia. To him, their laughter, discourse, singing and jesting is nothing more than so much barkings, growling, bayings and howlings. 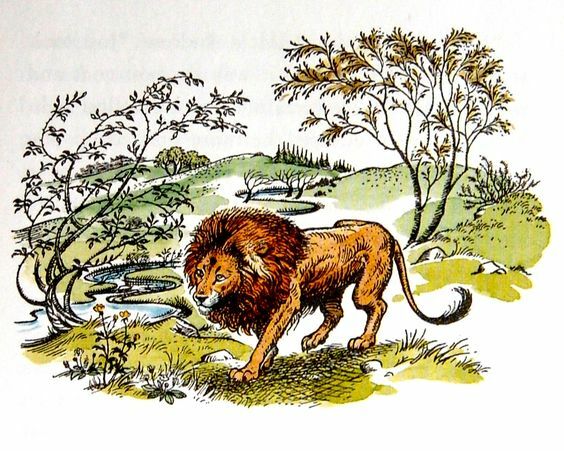 And so, when he finally comes face to face with Aslan, towards the end of the book, and a little girl named Polly asks Aslan if he can’t do something to help poor Uncle Andrew, Aslan compassionately, but clearly says no. “I cannot [explain Narnia] to this old sinner, and I cannot comfort him either; he has made himself unable to hear my voice. If I spoke to him, he would hear only growlings and roarings. Oh Adam's sons, how cleverly you defend yourselves against all that might do you good!" This is an idea C. S. Lewis plays with frequently in his writings, that we humans excel especially at plugging our ears to the reality of God; and that, the harder we try to convince ourselves that there is nothing more to life than what we can see and hear and measure and touch, the harder we make it to actually hear from God at all; and that there is a point beyond which we can have convinced ourselves so thoroughly that God’s singing is really just the natural growling and grumblings of nature, that there’s no going back. The idea pops up again in The Last Battle. A group of Dwarves are determined not to be “taken in” by stories of a great powerful Lion in control of the world. They have been flung into the donkey stable (it’s a long story, but in the logic of the novels, they have essentially “died” in there, and crossed over to the after-life). But even though the children can all see that they are now surrounded by a beautiful, verdant, sun-lit paradise, the dwarves obstinately insist that they are still in the stable. "Dearest," said Aslan, "I will show you both what I can, and what I cannot, do." He came close to the Dwarfs and gave a low growl: low, but it set all the air shaking. But the Dwarfs said to one another, "Hear that? That's the gang at the other end of the stable. Trying to frighten us. They do it with a machine of some kind. Don't take any notice. They won't take us in again!" "Well, at any rate there's no Humbug here. We haven't let anyone take us in. The Dwarfs are for the Dwarfs." "You see, " said Aslan. "They will not let us help them. They have chosen cunning instead of belief. Their prison is only in their own minds, yet they are in that prison; and so afraid of being taken in that they cannot be taken out." In his Screwtape Letters, he takes this idea one step further. In letter 30, Screwtape advises the young tempter Wormwood that special damage can be done to his “patient’s” faith if he can get him to believe that the horror, despair, fear and grief he feels in moments of crisis, despondency, threat or loss, are “real life,” but the joy, attachment, hope and exaltation he feels in moments of delight, intimacy, courage or worship, are only “subjective emotion,” and not real. The general rule which we have now pretty well established among them is that in all experiences which can make them happier or better only the physical facts are “Real” while the spiritual elements are “subjective”; in all experiences which can discourage or corrupt them the spiritual elements are the main reality and to ignore them is to be an escapist. Thus in birth the blood and pain are “real”, the rejoicing a mere subjective point of view; in death, the terror and ugliness reveal what death “really means”. The hatefulness of a hated person is “real”—in hatred you see men as they are, you are disillusioned; but the loveliness of a loved person is merely a subjective haze concealing a “real” core of sexual appetite or economic association. Wars and poverty are “really” horrible; peace and plenty are mere physical facts about which men happen to have certain sentiments. There is a profound insight into the psychology of faith, I think, in this observation that we tend to experience the world as we convince ourselves it is, and this is especially true in the spiritual life. It is possible to be so afraid of being "taken in," as Aslan says, that we cannot be taken out of the blind, closed, spiritually dead prison of our own making. Like Gerard Manley Hopkins put it, the World is charged with the grandeur of God, and if, like Uncle Andrew, we grow too adept at making ourselves dull to it, we are liable to lose the ability to enjoy it at all. In Genesis 21:11-20, we read the powerful story Abraham's concubine, an Egyptian girl named Hagar, who bore his first son, Ishmael. At the instigation of his jealous wife Sarah, Abraham sends his concubine Hagar and Ishamel away. They're out into the desert with a bottle of water and a bit of bread, and things are looking desperate. It says: "When the water was all gone, she left her son under a bush, to die, and then went on a little way and sat down weeping." Death, it seems, is just around the corner for these two. But then God appears to Hagar and promises to deliver them from their plight ("Do not fear," says the angel, "For God has heard the lad's cries ...") God sets her back on her feet, and then it says-- and this is the part I find so powerful-- it says: "God opened her eyes, and she saw a well of water, where she filled the skin and gave Ishmael a drink." That's all it says, really, and it's kinda mysterious: was the well always there and she just never noticed it before? Was it hidden and God pointed it out to her? Did it just appear, miraculously in that moment? I don't know. But whatever happened, God opened Hagar's eyes to see his deliverance right there in front of her, when she couldn't see it before. It gets me wondering, how often have I been in what seemed at the time a desperate place, and God's deliverance-- his life-saving well in the wilderness-- was right there in front of me, only I couldn't see it for what it was? May each of us have our eyes opened, like Hagar, and especially when we're in places like Hagar was that day, may we have our eyes opened to see the deliverance of God for what it is, and where it is. In Genesis 19:1-10, Abraham and the Lord have a long discussion about the fate of the city of Sodom that I find challenging and convicting. In a nutshell, God tells Abraham that he intends to destroy the city because of its wickedness, and Abraham intercedes: "What if 50 righteous can be found in it?" God says, "Then I'll spare it for the sake of 50 righteous." So Abraham says, "What if only 45 can be found." Again God says: "For the sake of 45, I'll spare it." And on they go: for 40? for 35? Abraham gets all the way down to ten people. And God agrees, that for the sake of 10 people, he'd spare the city. And then, Abraham leaves off interceding for the city at 10. Some of this depends on how you interpret verse 18:33, but it seems to me like Abraham stops there before God does--at least, he doesn't say, "What if 5? What if 3? What if only one righteous person could be found?" (Incidentally, if Lot and his wife had 2 sons, 2 married daughters, 2 sons-in-law and 2 unmarried daughters (which is what I count in vv. 19:8-14) then it could very well be that Abraham had a specific 10 in mind). This is a bit of a random observation, and I realize there are a lot of theological implications in a question like this, that a blog post isn't the best place to unpack, but at the very least it got me wondering: Am I at all like Abraham, and ready to give up interceding for my city before the Lord is ready to stop hearing my intercessions?